What Makes Taylor’s Hoists the hoist supplier and not just another hoist supplier? Our level of commitment on every project stands out. Our staff do their very best for customers – no matter if you have one of the smallest machines or ten of the biggest; each customer is treated with the same level of dedication. We put ourselves in the client’s shoes and ask ourselves how we would want to be looked after, then deliver and exceed expectations. Taylor’s offer more than ‘just’ hoist equipment and hire services. 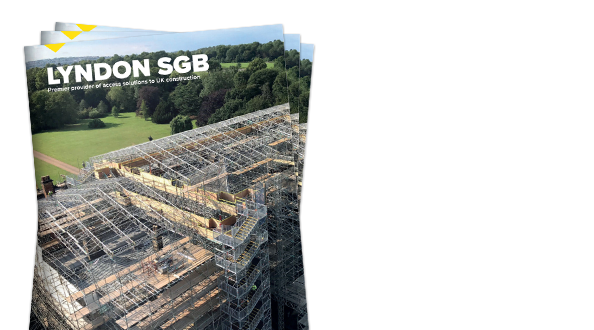 We provide access solutions, backed by the UK’s most respected independent scaffolding firm, Lyndon SGB, who own the Taylor’s brand outright and share our passion to be market leaders – not just in access solutions, but in setting the benchmark of quality and safety for all specialist contractors in the construction industry. Our fleet is modern, green and extremely well maintained and sets the standards on sites in our capital and beyond. At Taylor’s Hoists we have the best people with vast expertise in vertical height access, engineering solutions and design expertise. 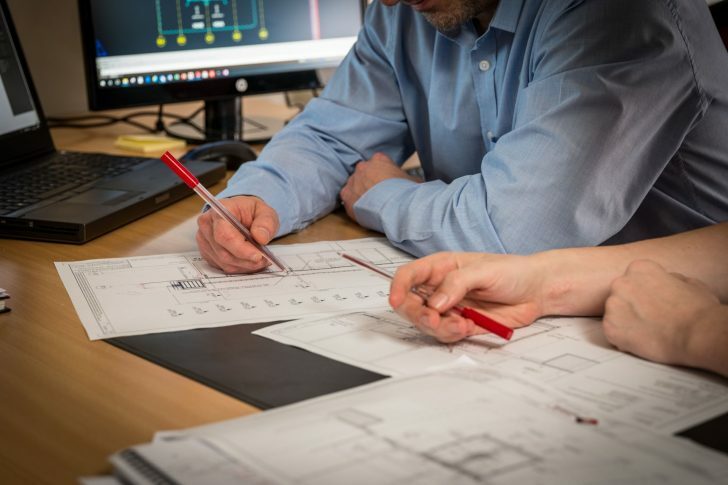 And with no expense spared in health and safety and training, we are future-proofing our levels of skill, quality, professionalism and dedication, which is reflected in the accreditations we have achieved. We genuinely care; about our customers, our people, our equipment, our reputation, our industry… and YOUR hoists. 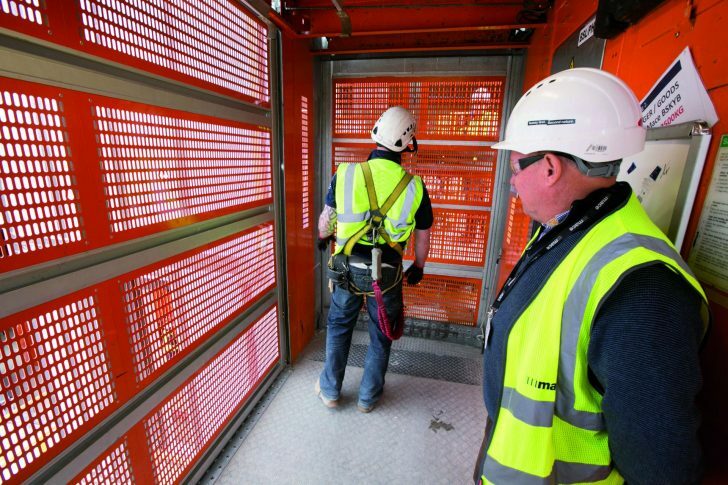 In just a decade, Taylor’s Hoists has established itself as the UK’s premier operation and maintenance hoist brand serving the construction industry’s main players with vertical access. From brand creation to award winners and nominees in the UK’s leading construction industry awards, supplying hoists for the UK’s top principal contractors and subcontractors in just over 10 years – that’s the Taylor’s Hoists story. With unparalleled links to the market-leading Alimak hoist product range, our product and service quality, professionalism and unique approach to customer service and safety have enabled us to reach great heights. Specialising in the hire and operation of the UK’s premier, most reliable range of construction hoists and with an unrivaled maintenance and on-site support services, we have grown and been awarded repeat business from our customers time and time again. Our wide range of single and twin hoist vertical height access solutions includes something for all projects and budgets – from reliable rack and pinion passenger/goods lifts and driverless systems to large tonnage beam and chain hoists. And we pride ourselves on being the first company in the country to stock the only environmentally friendly option – the strong, safe, lightweight and high-speed Alimax Scando 650. Working at height is a high-risk industry. The safety of site users is of paramount concern to Taylor’s Hoists. Our engineers, service crew and staff have the knowledge and experience to make sure every hoist is operating safely and efficiently. And from our large-scale depot, workshop and offices just off the M11 (in the shadow of RAF Duxford) we offer first class customer service. We care and really listen to our clients’ needs – from consultation, through point of sale, with superior on-site support, in after sales care and in our unrivaled maintenance programs. 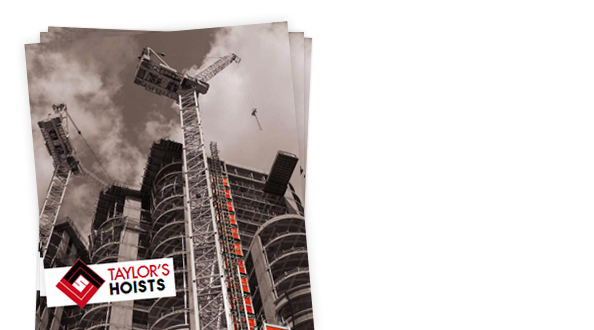 No wonder that major brands like Mace, Lend Lease, Skanska, BAM, Carillion continue to specify Taylor’s Hoists on their major construction projects across the British Isles. Our customers are increasingly looking for a seamlessly integrated service. Taylor’s is determined to be the highest quality provider, using only the best machines and focused on safety and service. It’s a business we want to invest in and grow. Taylor’s Hoists was created. We became the first company to only supply the latest models of the world leading Alimak Hek Construction Hoists. Taylor’s Hoists starts to gather pace and is awarded the renovation and build of the New Stock Exchange for Lend Lease and the Shell Building for Elliott Thomas Ltd.
New Court Project where Lyndon’s Scaffolding and Taylor’s Hoists business partnership begins. 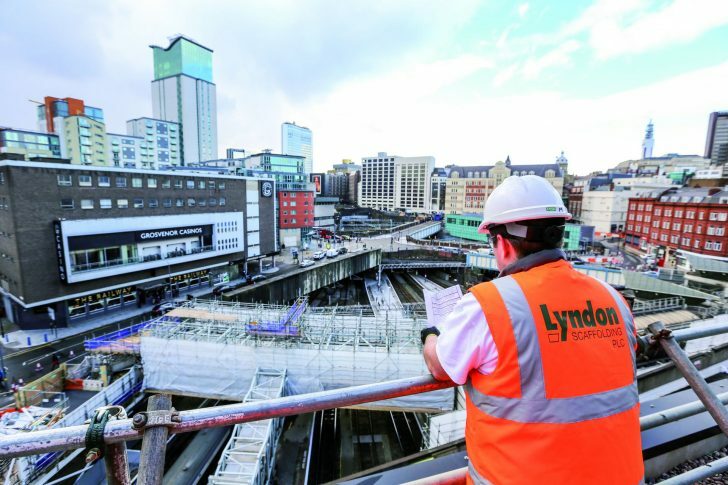 Taylor’s Hoists and Lyndon SGB were contracted by Lend Lease for vertical and site access on the prestigious project and worked closely together to create safe, intelligent access solutions. The hardworking business ethos between the two companies is the same – a feeling of being part of a family, not just arm. Taylor’s and Lyndon are developing a relationship and respect, paving the way for the future –meeting on many projects where hoists and scaffold are supplied. Taylor’s Hoists outgrow their current premises and relocate to modern facilities in rural Cambridgeshire –but close to trade links on the M11 corridor – with room to grow and offer more services. Links between existing work in London and the South develop with new business in the Midlands and North. Lyndon are awarded the Orchard Estate Project in Redbridge, supplying the scaffold on seven blocks of flats for energy saving panels to be installed and make full use of Taylor’s Hoists to supply vertical access on each of the seven buildings. Lyndon SGB CEO, Rob Lynch and Taylor’s Hoists John Self go into partnership with HATS (Hoist Access Tower Services) and provide the Common Tower access solution for St. James – Corniche Project. Lyndon’s Scaffolding CEO Rob Lynch joins John Self with a part-ownership of the Rainsford Group and Taylor’s Hoists. A new era begins. Lyndon SGB purchases 100% of the company to create a business offering a full range of access solutions. Taylor’s now has investment backing.